When you need garage door services in Woodbridge, VA – from installation to repair – rely on Capital City Garage Door. We are a veteran-owned and operated company that uses only high quality American products. We’ve built our business on integrity, honesty and fair practices. Capital City Garage Door is part of the community we serve, and that’s the way it should be. We live, work, play and shop right here in the Woodbridge, VA area. Why call a stranger to care for your garage door sales, services and maintenance needs when you can call a neighbor? I am so happy with my purchase!!! From the first telephone conversation with Joe, the multiple calls with Jessica (I called her several times with questions), until the installation of my new garage door, I was very pleased with the excellent customer service!! When Joe came out to give me an estimate, he was friendly, professional and very knowledgeable. He explained everything so that I could understand. I told him I wanted to do some research before I made a decision. He encouraged me to do my research and if I had any questions, I could call him or Jessica. After researching, talking to friends, I decided to call Jessica. What an awesome lady!! She was sooo patient and explained everything!! I did a little more research which meant more questions. I called Jessica at least four times and with each call she was patient and very open. She did not try to sell me something I did not need. Her main concern was that i had the information to make a decision. She is a jewel.... Joe arrived and did an amazing job! I am very pleased!! 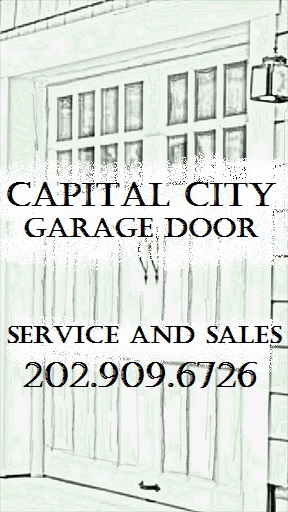 I HIGHLY RECOMMEND Capital City Garage Door. Thank you Joe and Jessica! !